A rising scourge to England’s social peace and multiculturalism, the English Defence League (EDL) has violently protested against Islam since its inception. In the fantastically daring Angry White People, Hsiao-Hung Pai follows a group of individuals who got caught up in the wave of far-right street movements that began in 2009. Pai investigated the rise of the EDL and other extremist organizations, falling in with several of their members and observing their day-to-day lives. Delving deep into five lives in this marginalized section of England’s white working class through research and interviews, Pai uncovers something surprising—their xenophobic ideologies are not an aberration in modern English society, but rather an ever-present facet that is continually reproduced, rejuvenated, and mainstreamed by the media and political powers. "Seeks to show how necessary it is to challenge the broader social issues that create the conditions in which racism can thrive. Angry White People is a useful addition to our anti-racist tool box." 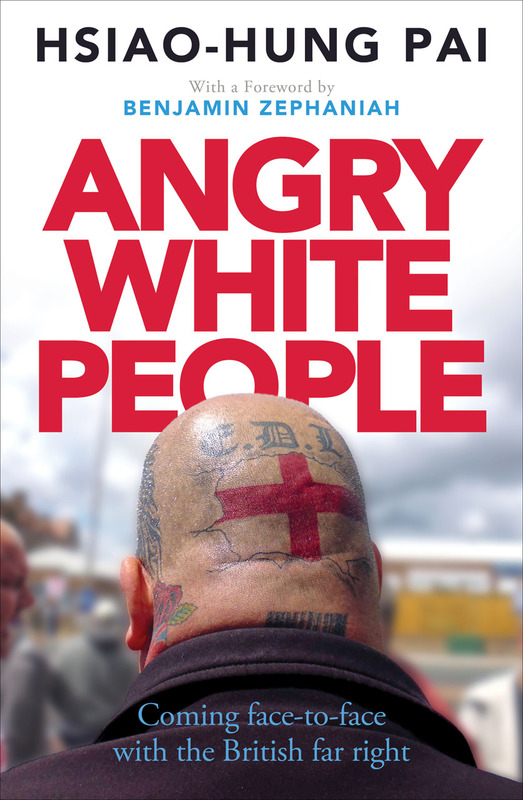 "Angry White People is an enlightening, thoughtful and intelligent study in what makes the far right tick, their political strategy and aims, and how they build support for them." "An exemplary account of the working class milieu in which a version of the far right began." "Pai has an engaging way with her journalism. . . . The virtue of Pai's work is that, because she has many conversations and reproduces them at length, complexity is uncovered."